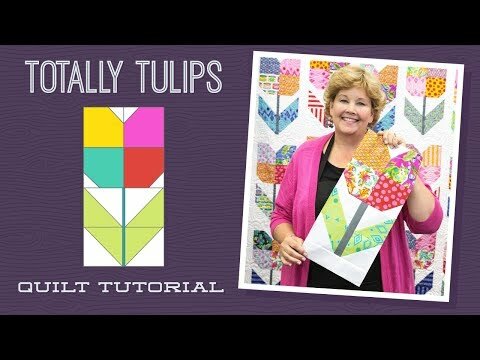 Missouri Star Garden Variety Totally Tulips Kit - Missouri Star Quilt Co. - Missouri Star Quilt Co. This isn't your regular, garden-variety floral project. Go beyond the ordinary with a quilt completely covered in rows and rows of the cutest tulips you've ever seen! Designed exclusively for Missouri Star, this pieced quilt kit contains a pattern and Garden Variety fabrics for the top and binding, including precut 10" squares, by Lella Boutique for Moda Fabrics. Backing sold separately, 7 1/2 yards needed. We recommend Garden Variety - Garden Bed Blue Sky Yardage. Finished size: 89" x 90"